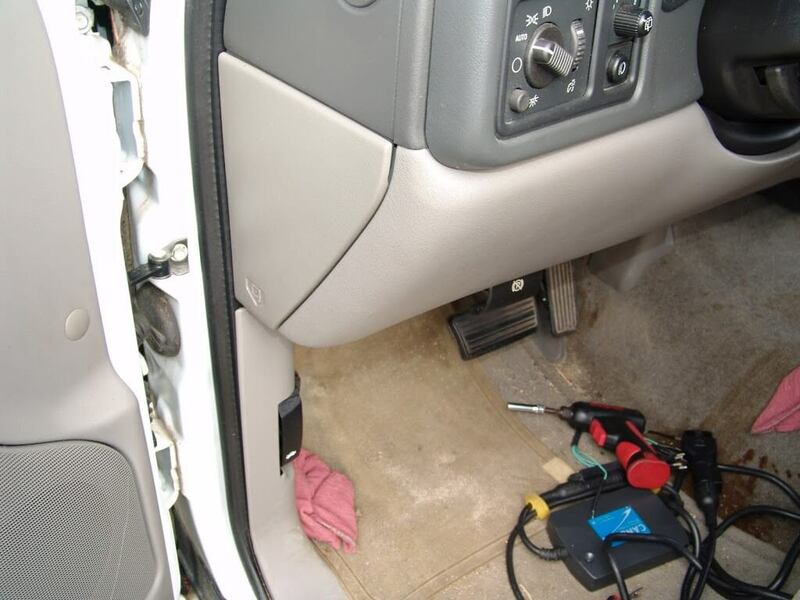 This 2005 Chevrolet Tahoe came in with multiple complaints. Radiator cooling fans on with key off, dash warning lights on, gauges not working, door locks cycling, power windows not working and of course the battery will go dead if left sitting for any length of time. 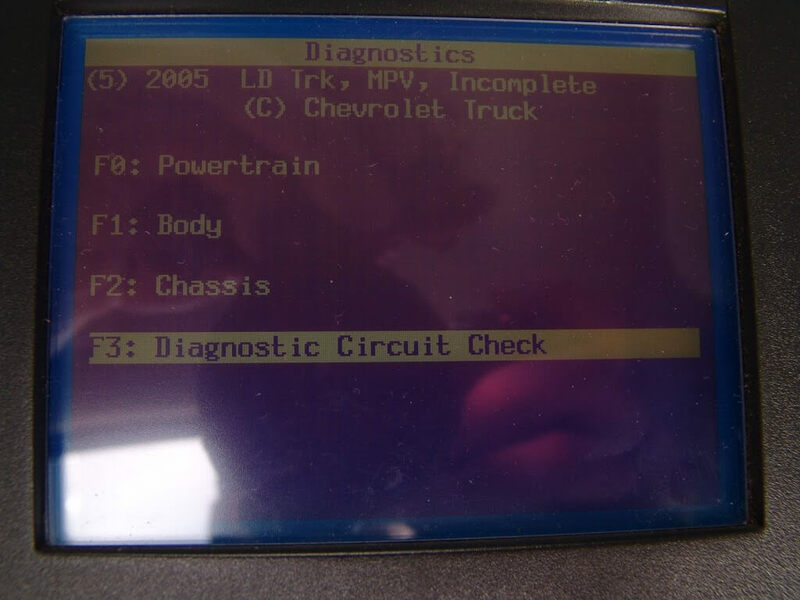 I had checked this Tahoe out a few weeks earlier and knew it had a PCM problem. Since it had under 65,000 miles the PCM was still under warranty, I sent the customer to the dealer for repairs. Sadly the Tahoe is back at my door. 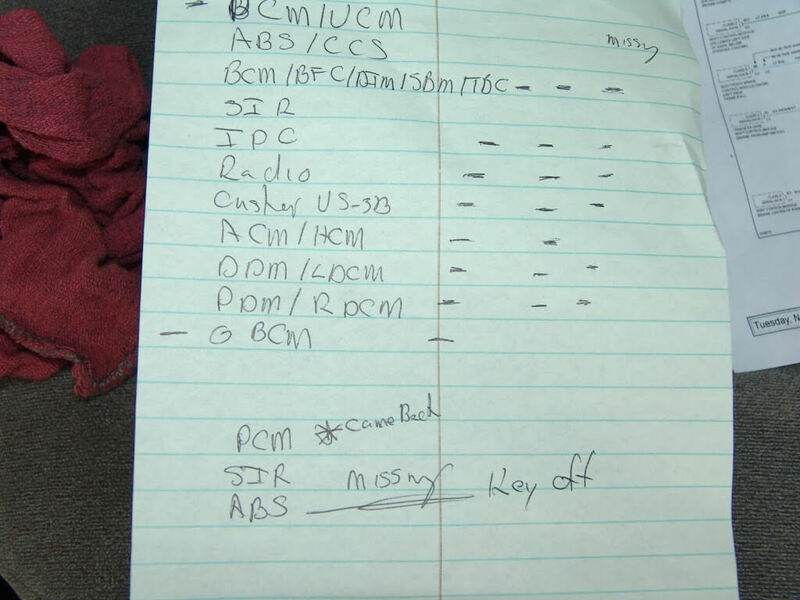 According to the customer the dealership had replaced the PCM and refused to do anymore work to the Tahoe. Sounds like a lack of communication to me. More than likely the dealership informed the customer of a deeper problem and the customer refused to pay for any other repairs. Not knowing how much of the story was true, I checked to make sure the PCM had been replaced. Looks like a new install to me. The first time I saw this Tahoe the only problem it had was the battery was going dead from the engine cooling fans staying on sometimes with the key off. Now there was a growing list of symptoms. 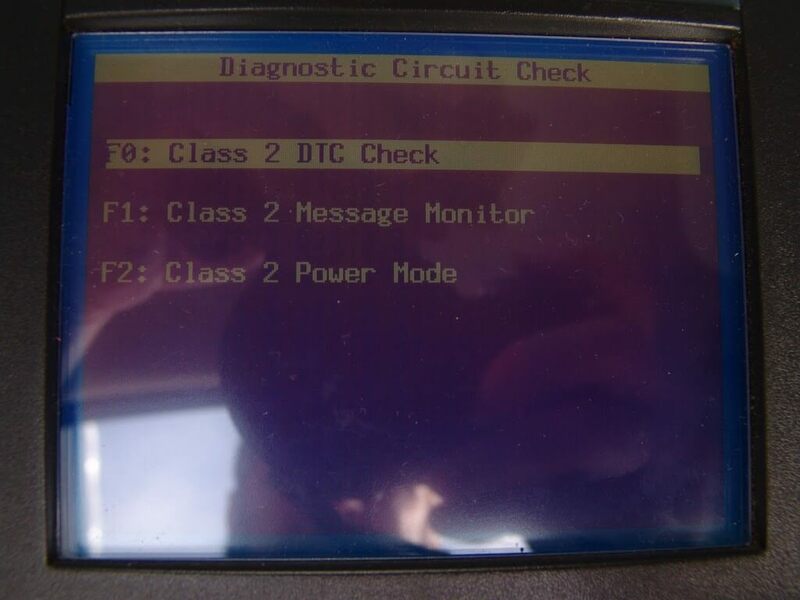 I checked codes using my Tech 2 scan tool and found multiple class 2 data communication fault codes. I performed a Class 2 DTC check to see how many modules were in this vehicle. I repeated the check several times over a five to fifteen minute span with the engine running. I found a range of seven to eleven modules reporting during the various times I checked Class 2 DTC’s. Time to access the class 2 data junction or buss bar. 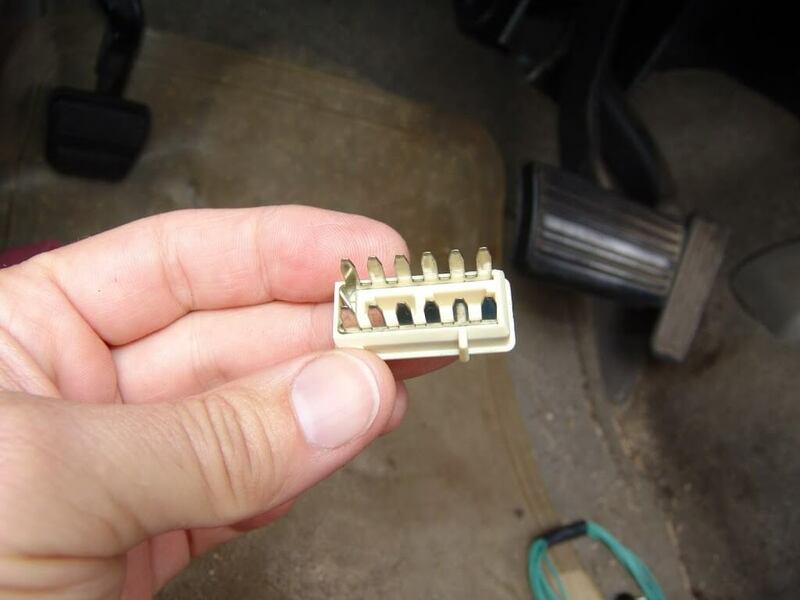 It is located under the driver’s side of the dash. The covers do not have to be removed but it makes it a little easier to see things if you do. 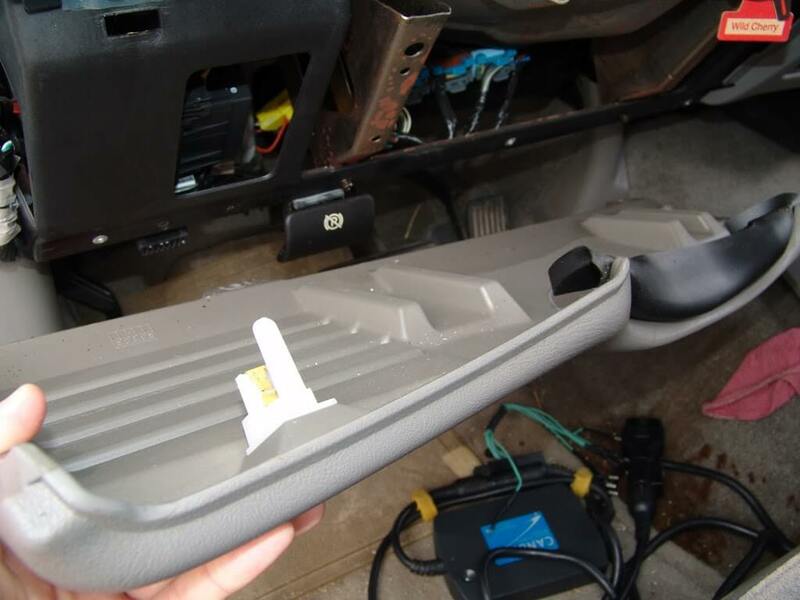 Remove a couple of 7 mm headed screws at the lower edge and the panel will unsnap from the dash. The connector I was looking for is about three inches above my hand in the picture below. The wires that I am holding are just part of a harness that was in the way for taking a picture. The connector body is taped to a harness. 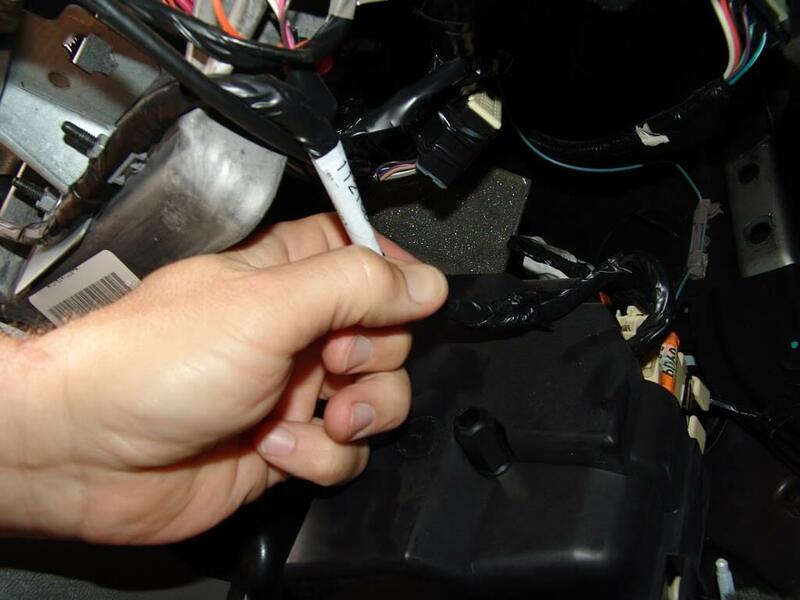 The tape has to be undone or cut to get the connector and its short harness down for testing. 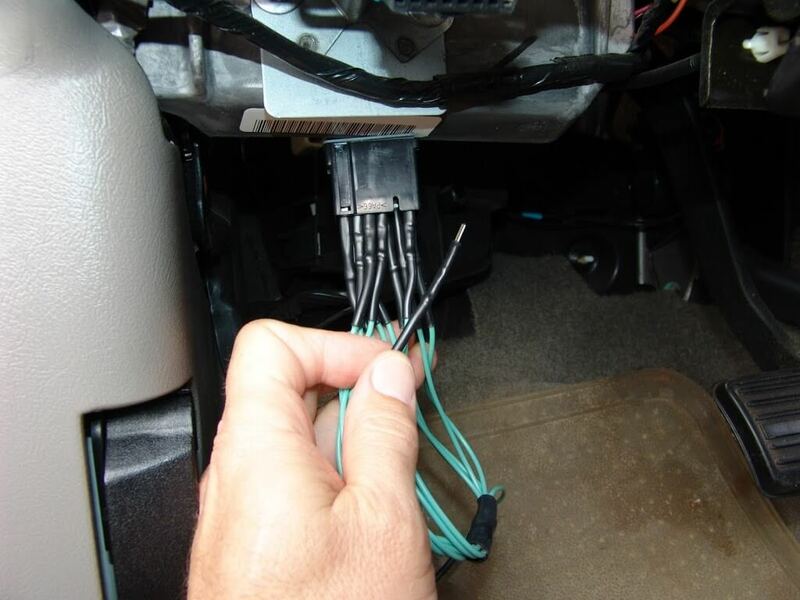 The class 2 data connector pulled down from the dash for easier access to the wiring. I sure do wish the engineers would have added a few more inches of wire to the harness though. My next step was to use a small screw driver to remove the connecting bar, shown below. Now the fun begins. I had to carefully insert my test lead assembly into the connector body. This lead assembly takes the place of the little white buss bar. 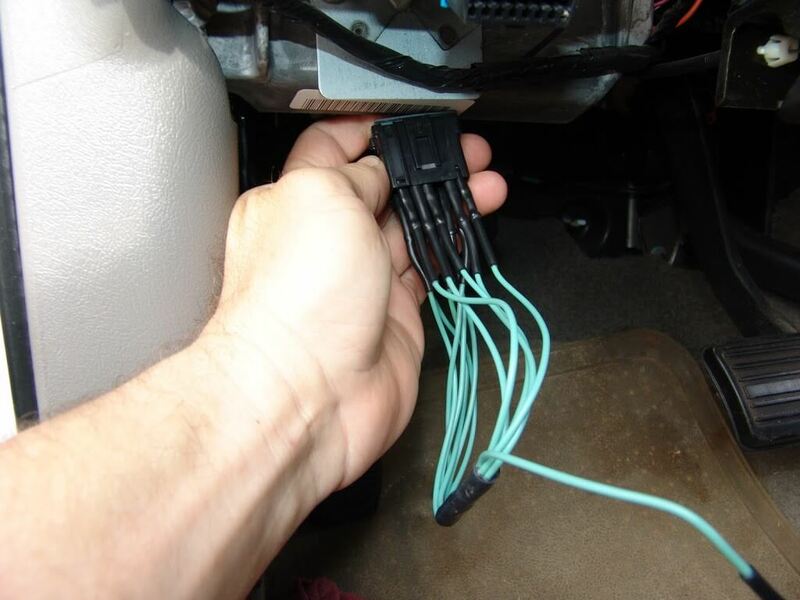 All of the wires leads are installed into the connector body except for one. 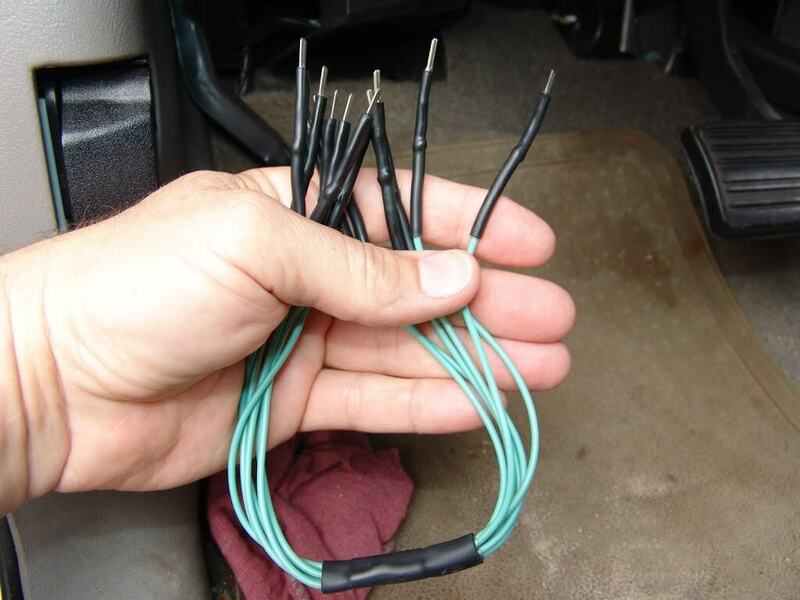 Even though there are twelve spaces only eleven wires are installed. With any kind of computer issue the two of the most important tools are a pen and paper. As mentioned earlier I looked for Class 2 Data DTC’s, one of the chief reasons for doing this is to see how many modules are reporting at any given time. Doing this allows me to build a written list of modules. With the full list built it is just a matter of repeating the same Class 2 DTC test to see which modules go missing. In this case the PCM, ABS, SIR and GBCM modules would drop out on a fairly regular basis. While monitoring Class 2 Data DTC’s and looking for changes in vehicle behavior. I disconnected one wire at a time with the engine running and checked for reactions. I only had to do this with the four terminals associated with the missing modules from my list. My initial testing and subsequent list eliminated almost 65% of the testing possibilities. 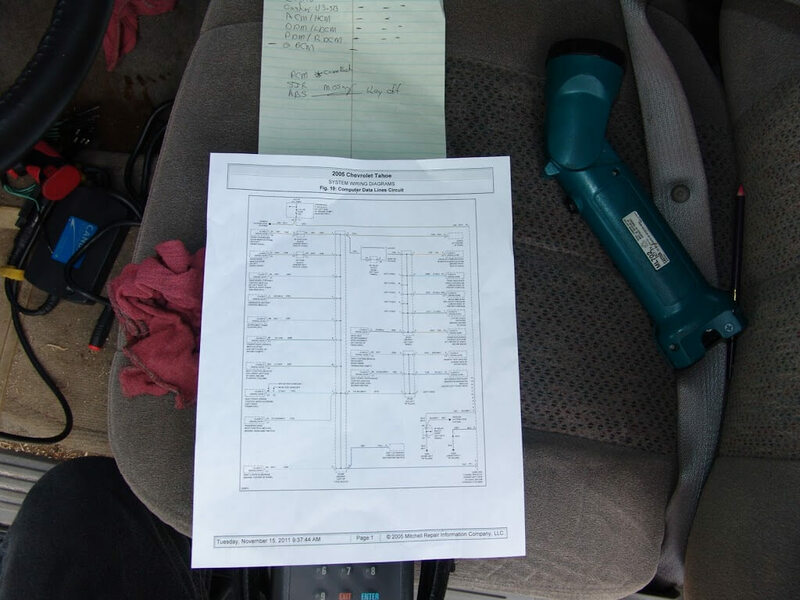 Using a wiring diagram that shows the Class 2 data lines, I knew what color wires were involved and their positions within the connector body. The connector body has letter designations for each terminal. I know you were hoping to read the diagram but it is a licensed product and I do not own the license to share it with you. If you want it you have to buy it just like I had to. 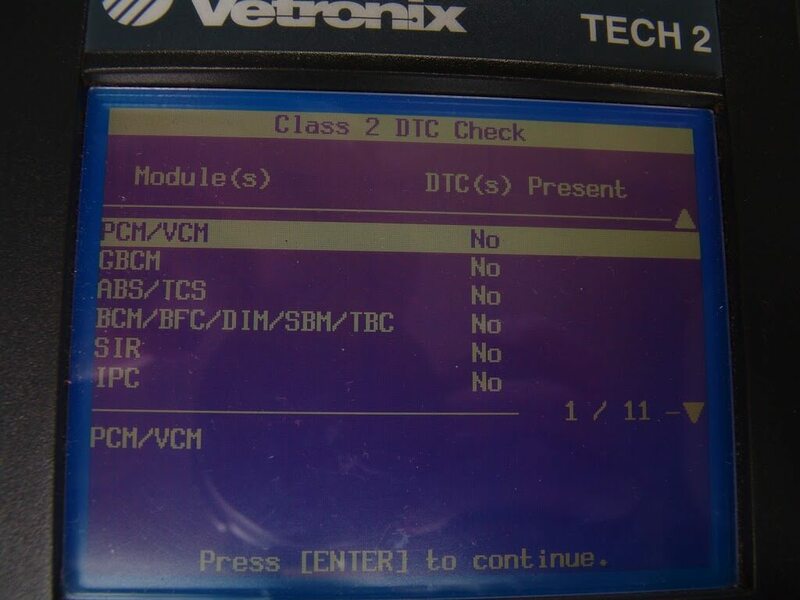 The Tech 2 screens involved in getting to Class 2 DTC tests. In the end the problem was with the PCM communication line. Water had gotten into the lower half of the blue, C2 connector and left corrosion. 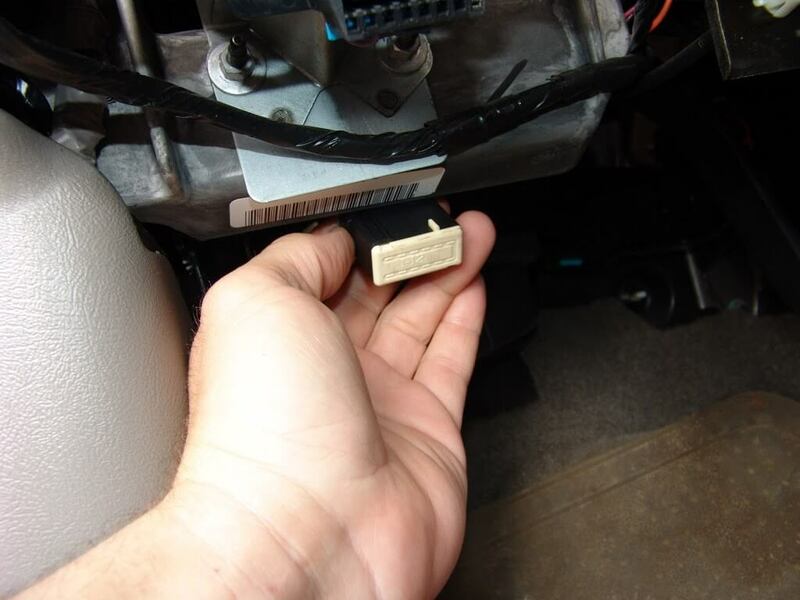 When the dealership had replaced the PCM under warranty, the tech thought he was doing an extra good service by adding a dielectric gel/grease to the connector. What in fact happened was a conductive gel was created in the connector between the terminals.. This conductive gel was driving the computer system crazy with false readings. 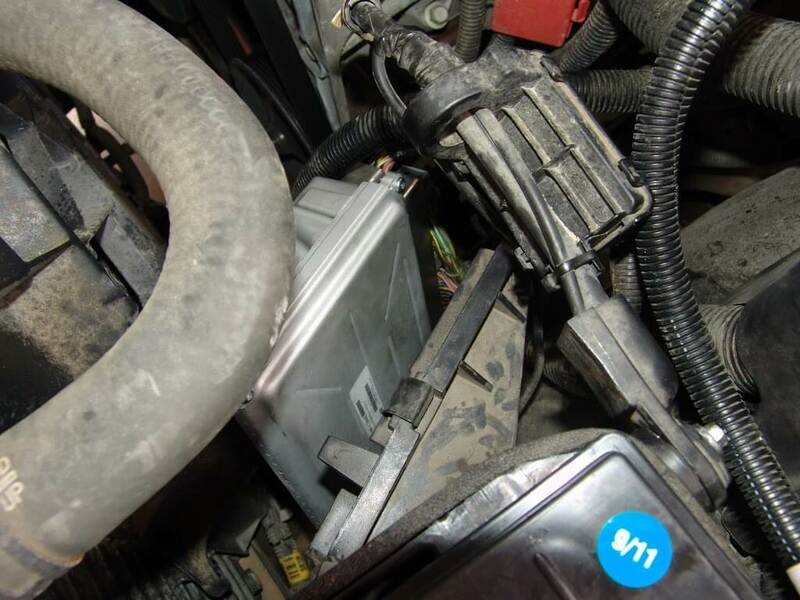 The best fix for the problem would be to replace the PCM and the engine harness. The customer did not have the money to do this so I removed the blue cover and using a small bristle brush I cleaned the mess from the connector. I dipped the brush into an electrical contact cleaner and wiped all of the contaminant away. After it was cleaned I checked to see if any terminals were damaged and found nothing of significance. I installed the blue locking cover and wiped a slight amount of grease into the small holes. I checked the gasket for damage and found none. I flipped the gasket over from its original position and rubbed it down with dielectric grease for an added seal. I informed the customer of the situation and we agreed that we will monitor the integrity of the seal and connector over the coming months. I also advised them to get their finances prepared for replacing the harness and PCM in the near future. They stated that they were also going to contact GM about the issue. I wished them luck.